Citizen Cope has a new record out. The RainWater LP, is now available digitally. It will physically be available starting March 2. 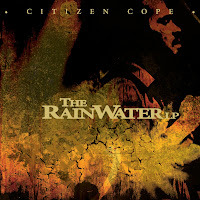 This release marks Citizen Cope's first new record in nearly 4 years and it is also the first release via his own label RainWater Recordings. You can stream the The RainWater LP in its entirety HERE.